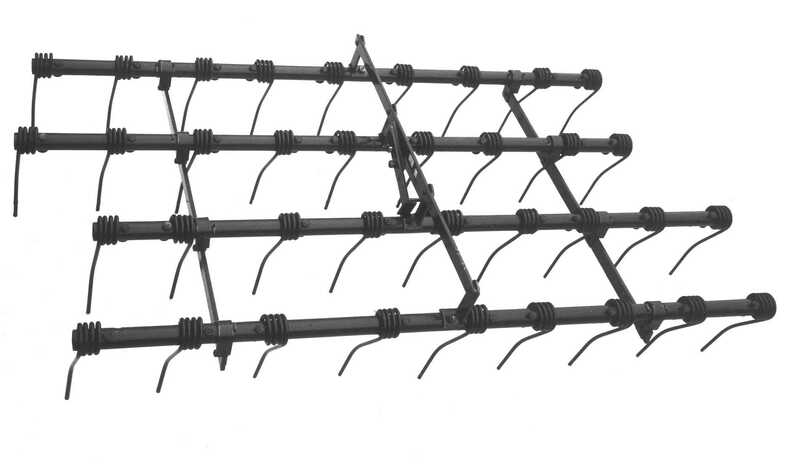 This four-bar, Curved Coil Spring Tine Harrow Section is designed to be used as a finishing tool behind field cultivators. It can be mounted to field cultivators with Model “CA-12” arms which will fit the 2 1/2 “, 3”, 4”, 5” or 6” square tube on the rear of the Field Cultivator. Penetration can be applied and adjusted as desired by the springs on the carrier arms.